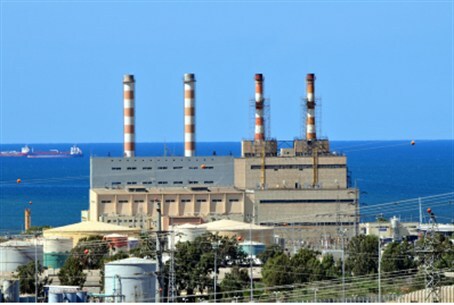 A dozen firefighting crews worked for long hours Thursday morning to prevent what could have been a major chemical fire, after dangerous materials were found leaking from containers in Haifa Bay. To prevent the peroxide-based chemical from enflaming, firefighters cooled the material down, and diluted it. The incident occurred at about 7 AM Thursday. Some 100 tons of the peroxide-based substance leaked into an organic compound, setting off a chemical reaction that created a highly flammable substance. The temperature of the material rose quickly to a very high level, raising fears of an explosion or fire. Officials said that such an explosion would definitely had occurred if the material was heated to a level of 40 degrees Celsius (about 120 degrees Fahrenheit). Dozens of experts from firefighting and other rescue services were dispatched to the site of the incident. Other firefighters were sent to protect oil refineries in the area. The incident comes a day after the State Comptroller release his report on the 2010 Carmel Forest Fire. The report assigns responsibility for the massive blaze to Interior Minister Eli Yishai and Finance Minister Yuval Steinitz. The two were blamed for the country's lack of preparedness that led to northern firefighters not having the necessary resources at their disposal with which to control the blaze. Both have rejected the charges.